The Jill-E Designs Everywear Gadget Bag (Nougat) is a carrying case for a tablet computer and / or e- reader plus 1 DSLR or SLR camera body and 2 medium-sized lenses. Alternatively, the bag can hold many other combinations of smaller items, including point and shoot cameras. You'll be able to fit plenty of personal items and accessories, including a water bottle, umbrella, flip-flops, wallet, keys, make-up, hair brush and more! Fusing fashion with function, the Gadget Bag features a stylish, weather-resistant nylon exterior with durable, top-grain leather trim. Padded exterior walls and interior dividers protect your gear. The handy removable sleeve protects your iPad, e-reader or tablet device. A top zipper secures your camera, electronics and essentials, while inside and outside zippered pockets hold personal items. You'll find interior pouches for your smart phone, accessories, pens, cards and glasses. 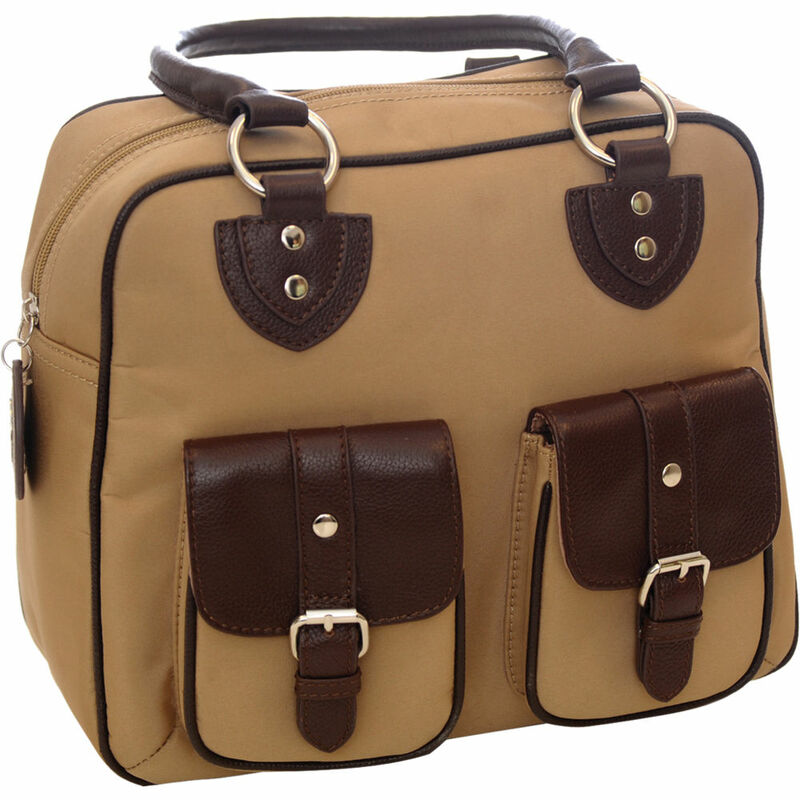 The bag is carried via comfortable leather handles with a 9.5" (24.1 cm) drop. Box Dimensions (LxWxH) 13.5 x 10.8 x 5.8"